EDOUARD PRONNET ARNOLD (1930), known as Edward or Ed, was born in South Bend, Indiana on 2 March 1930. His full name was the rather more cumbersome Edouard Jean Marie de Bourbon Pronnet Arnold, as his mother was descended from the House of Bourbon that had furnished so many European kings and queens. Whereas Ed’s mother was proud of this connection, it presented more problems than advantages for a schoolboy in the twentieth century United States. Ed was soon to contract his name to the more manageable form that he would use throughout his life. Ed’s French-American family moved from Indiana to New York where he grew up and attended university studying Electrical Engineering. After being called up for active service in the US Navy during the Korean War, he began working at the Convair Aircraft Company in San Diego, California. At Convair Ed developed programmable electronic calculators, but soon grew tired of working in industry. He wished to return to academia and to study geophysics and seismology. In 1960 Ed travelled to Cambridge to start a PhD at King’s in Theoretical Seismology, at the Department of Applied Mathematics and Physics. He was working with Sir Harold Jeffreys, refining travel-time models for seismic waves, which had been developed in the 1930s with mechanical calculators, thus helping to bring modern computing methods to the study of seismology. Like so many Americans, Ed fell in love with Cambridge and its traditions, and quickly set his mind to becoming a quintessential English gentleman. He bought a cloak and practised hard to erase his American accent. With the money earned working in industry he generously regaled his fellow students with steak dinners at Fort St George and drinks in his room, and entertained them with his great sense of humour. He stayed for three years in Cambridge until he had to leave King’s, where he had especially enjoyed the services and the concerts in the Chapel. Ed then exchanged the streets of Cambridge for those of Edinburgh, where he took up a position at the newly established International Seismological Centre (ISC). There Ed continued applying his knowledge of modern computing to old data and helped to develop an updated and more secure system of recording and interpreting seismic data. 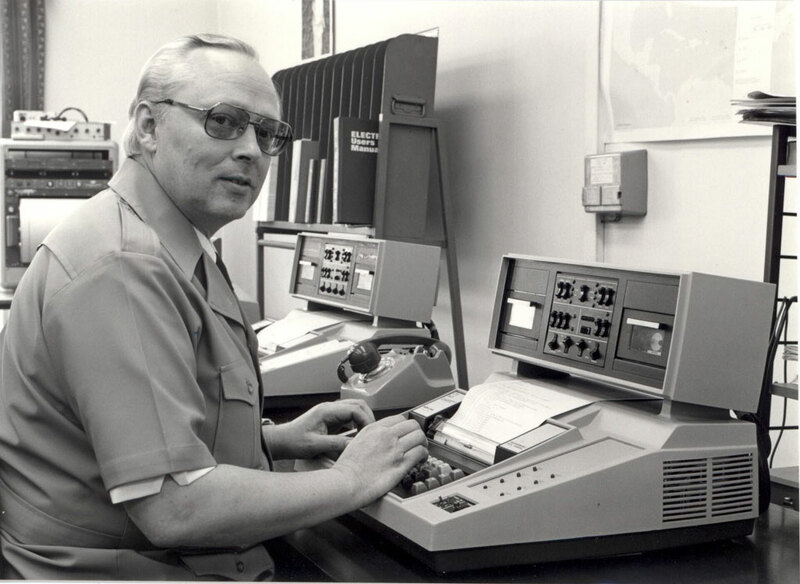 It was not long before Ed returned to the United States to work in geophysics research, but he returned to Britain in 1969 when he was offered the post of Director of the ISC, becoming the Centre’s second director after Dr P. L. Willmore. He stayed until 1977 when he again returned to the US to work for the US Geological Survey in Colorado, where he remained until his retirement in 1995. Ed’s work constructing global seismic travel-time tables using modern computing technology would become an important contribution to the field of Seismology. Although Ed was a very private person he was at the same time a friendly and easy-going man, always happy to introduce others to the joys of refined tastes. He died at the age of 76 in Jefferson City, Colorado, on 15 July 2006. From: 2009 Annual Report King's College Cambridge (UK), Obituaries, 68-70.